The Sheridan School District and School Board had much to be proud of at the School Board Meeting yesterday. They had the great honor in recognizing several top-notch students and their teachers/coaches. 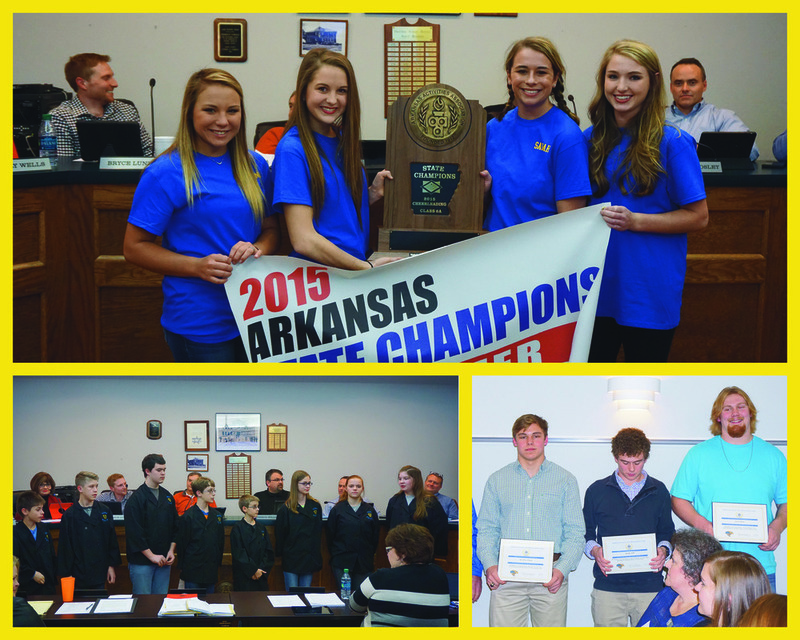 At the meeting, they recognized the Sheridan High School cheerleaders for winning the 6A State Cheer Competition; Brady Bibb for making First Team All Arkansas Preps Football; Brockton Brown and Jacob Atnip for making USA Today All Arkansas Team; and the SJHS Robotics team for earning their way to state competition.